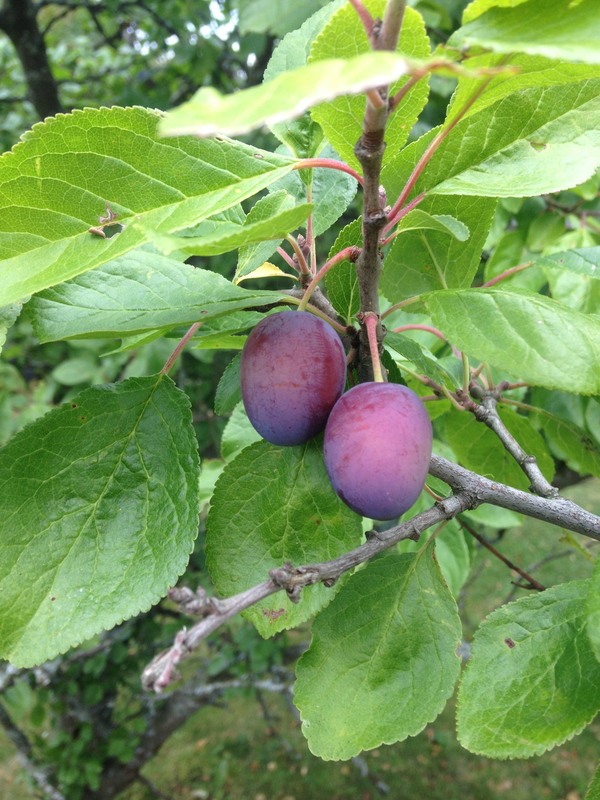 That beautiful plum that becomes a deep shade of purple as August approaches. It is a delicious sweet fruit that works well in different meals. I eat them in handfuls as I love that candied fragrant taste as it hits the back of my mouth. According to numerous articles (ex. daily mail), plums are the new super food and matched or even exceeded blueberries in antioxidant levels. 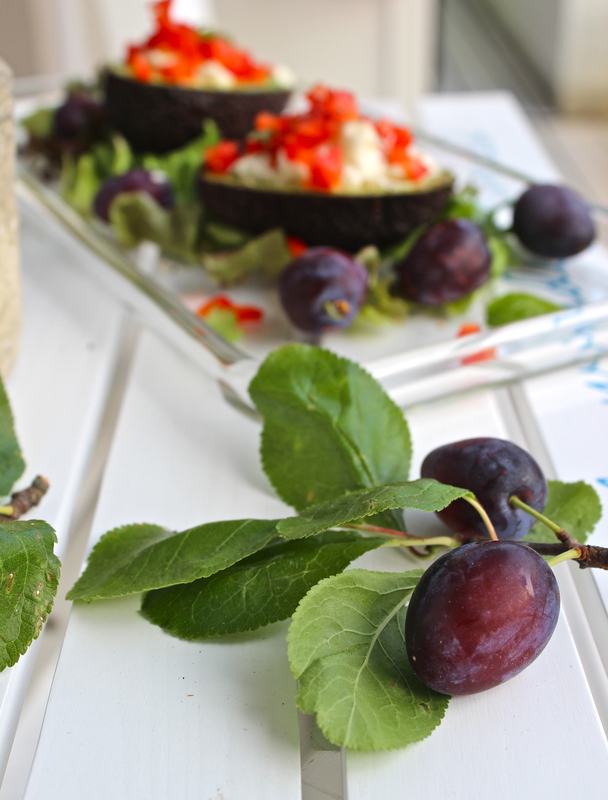 1 plum = a handful of blueberries in antioxidants, so I say a plum a day keeps the doctor away! 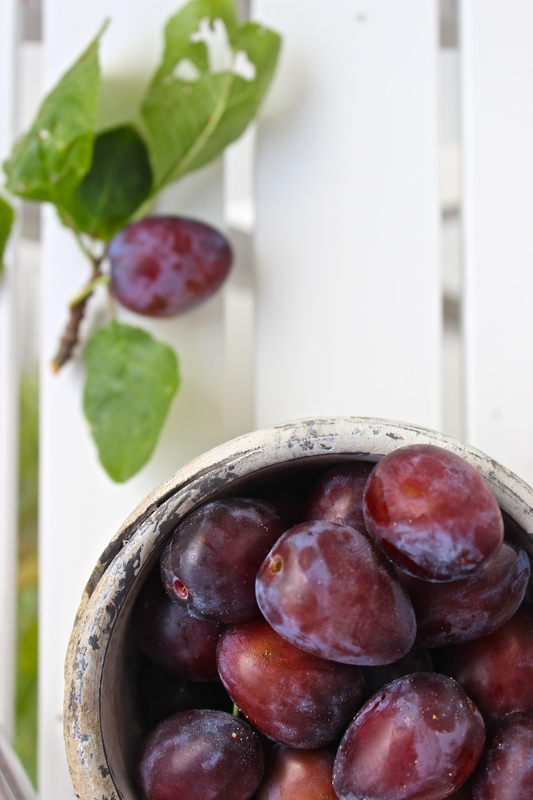 Plums contain healthy minerals and vitamins such as vitamin c & a to help fight infection and good for eyesight. Thus, not only do they taste good, but plums are natures magical pebbles loaded with nutrients. 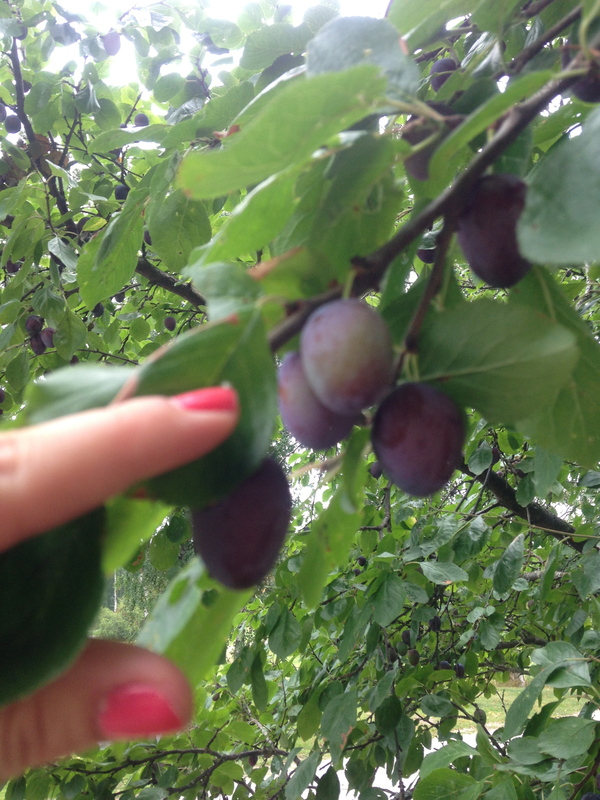 I hand-picked a basket of ripe plums where naturally only half made it back home as they tasted so juicy like colourful candy drops or rich deep jewels, I couldn’t resist. These crisp and tangy fruits make a spectacular addition to salads, pies or made into jam. I decieded to make a creamy texture-filled salad with fresh flavours and a variety of my favourite tastes. Rip various salad leaves on your plate. Add a halved avocado. 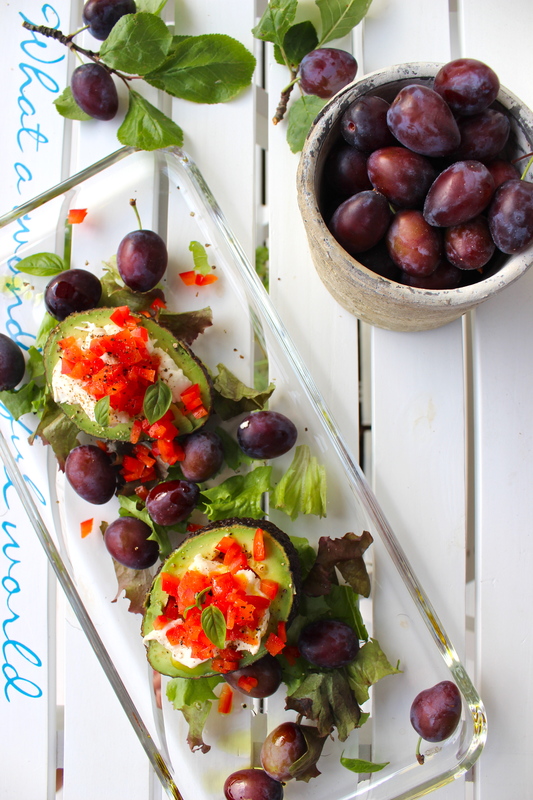 Grate some lemon zest into the dimple of the avocado and rip some creamy mozzarella on top. Sprinkle finely sliced paprika for crunch. 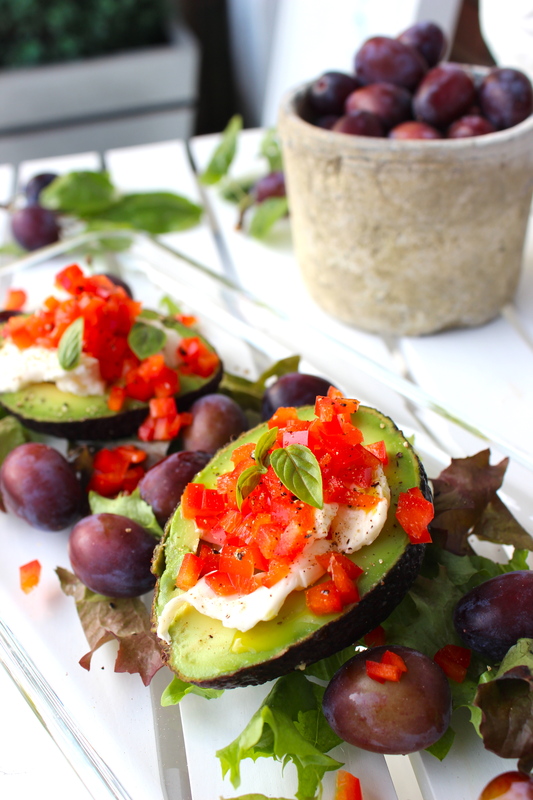 Add a generous handful of ripe sweet plum and basil leaves. Ground fresh black pepper and a drizzle of avocado oil. Voilá! Not only is this gorgeous for the eye, it tastes delicious and you know it’s filled with ingredients that are good for you. Next Post A Glass of Super Food.